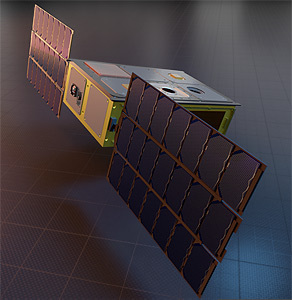 SPARC 1 (Space Plug-and-play Architecture Research Cubesat-1) is a joint US/Sweden military research nanosatellite with the 6U CubeSat form factor, representing culmination of a research activity spanning more than a decade. It was developed under the broader umbrella of research being done between the US and Sweden in the Nanosatellite And Plug-and-play Architecture or “NAPA” program to pioneer a methodology for creating mission capable 6U spacecraft. The methodology involves interchangeable blackbox (selfdescribing) components, software (middleware and applications), advanced push-button tools supporting accelerated design flows, and elements of ground systems architecture capable of working fluidly with networks of potentially hundreds of these platforms. The spacecraft design encompasses a blending of technologies and components developed by both countries, with primary payloads of direct interest to each nation. The spacecraft is built to the 6U CubeSat form factor, based on Pumpkin's SUPERNOVA bus. The US payload, referred to as an Agile Space Radio (ASR) is an on-orbit reconfigurable transceiver, intended to support live experimentation with different waveforms and protocols useful to communications missions. The Swedish payload is a visible camera optimized for the study of space situation awareness (SSA) concepts. SPARC 1 is planned to launch in April 2019 on an Electron KS rocket.